Duron II polyester - twice as strong as manilla - for more durability, and firm "nubby" surface for good grip. Stays flexible, throws well, good knot holding. Resists chemicals and UV, will not mildew. 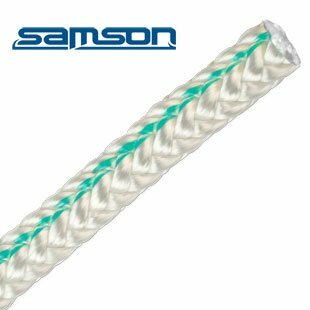 If you have any questions about this product by Samson Motorcycle, contact us by completing and submitting the form below. If you are looking for a specif part number, please include it with your message. ROPE Logic Bee-Line G-spliced Eye & Eye Prusik Cord, Black, 10mm x 30"